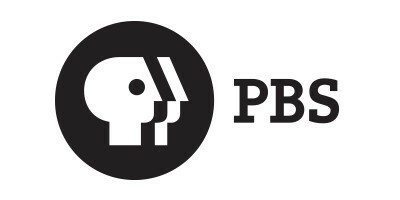 Public Broadcasting Service (PBS), America’s largest public media enterprise, uses an insight community to optimize programming, enhance marketing campaign effectiveness, and boost ratings and viewership. Looking to get ahead of major disruptions in the media industry, PBS needed a way to better understand evolving viewer behavior and preferences. It required ongoing insight on the content that would resonate with its passionate viewers and on the type of marketing campaigns that would expand the organization’s footprint. "Viewers Like You" is an insight community of more than 14,000 PBS viewers that shape content creation, marketing and ultimately improve ratings. It allows the organization to do staged research to ensure audience feedback is infused in every step of the content creation process. Viewers also provide feedback on early-stage marketing concepts and their iterations to ensure the final product resonates with the audience. For example, viewers shaped the marketing campaign behind the organization’s coverage of the 2016 Presidential elections in the U.S., including the tagline Reliable. Rebalanced. Real. That campaign helped boost ratings for PBS News Hour, one of the most trusted news programs on TV, by 22%—a seven-year peak that the program sustained even after the election season. The Viewers Like You community has been invaluable to us in planning and creating promotional campaigns. Feedback from the community on messaging and creative concepts helps us improve and refine our efforts to better reach our target audiences with impactful assets and information. The Viewers Like You community enables us to gauge our audience’s reactions to creative concepts for content promotion. Getting feedback is quick and easy. It allows us to test beyond text; we’re able to learn what visuals, tag lines and parts of the creative resonate with our viewers.